Specifically, from early 2019 until now, bird flu has occurred in Quang Ngai and Khanh Hoa provinces. The total number of poultry must be destroyed is 8,875. Currently, there is still one outbreak of bird flu in Khanh Hoa province over 16 days. Also in the past 1.5 months, foot and mouth disease has occurred in small groups of households that have not been vaccinated in some provinces such as Lang Son, Yen Bai, Thai Nguyen, Quang Tri … Statistics show that the total number of cattle and foot and mouth disease is 757; destroyed 679 children. Notably, there are 4 provinces of Lang Son, Yen Bai, Thai Nguyen and Kom Tum still infected, but not over 21 days. For blue pig disease, African swine disease, Wild pig disease, from the beginning of 2019, no arising. However, the risk of potentially infected cattle and poultry is assessed as large and worrying. For example, for Rabies, statistics in 2018, Rabies happened in 26 provinces and cities and caused 86 deaths (up 12 number cases with 2017). However, the management of domesticated dogs in many localities is not considered strictly by MARD. The high temperatures that have been registered in the country have reached 40 degrees centigrade. The president of the union expressed his concern, because as a result of this more than 250 thousand head of cattle have had to be displaced. “Summer has hit the cattle sector hard, in regions with more intensity than others, the Caribbean Coast, especially in the dry low tropic part, is very affected, more than 31 thousand animals have been killed or killed, and more than 250 thousand animals have been displaced, “said the president. So far, the most affected departments have been Casanare and La Guajira, places where the drought has damaged the prairies, making them dry and unproductive. “We currently have silos and bales of food, most likely in February and March the livestock production units reduce their animal load by up to 50 percent,” he added. Faced with this bleak landscape for farmers, the National Government will allocate resources to produce green and nutritious pastusas for livestock at any time of the year. WA Government officers have destroyed more than 300 head of cattle on the Yandeyarra Reserve, 100 kilometres south of Port Hedland, and have warned the number might exceed 1,000 after their condition deteriorated following a lack of food and water. Pastoralists and Graziers’ Association of WA president Tony Seabrook said he had been briefed on the worsening situation at the Pilbara property this morning, and the situation was totally unacceptable. 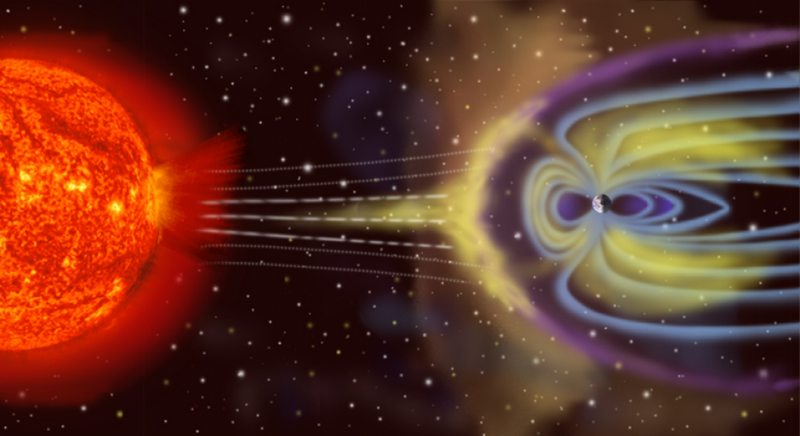 “It appears as though it’s going to get to be a whole lot worse than it currently is,” Mr Seabrook said. “The figures the minister has been putting forward are very conservative. Roughly 5,000 head of cattle are run on the Yandeyarra Reserve by the Yandeyarra Aboriginal Community, which is managed by the Mugarinya Community Association. It comes just weeks after up to 1,000 cattle may have perished on the Noonkanbah Station in WA’s Kimberley region, which is currently managed by Yungngora Association Incorporated. Mr Seabrook said the fact the Pilbara property is an Indigenous reserve should play no role in future action, and it should be held to the same account as any other WA pastoral lease holder. “This is an animal welfare issue,” he said. It came as the ABC learned of an earlier large-scale cattle death event at the same Pilbara property in 2012. It is believed in that incident at least 100 head of cattle perished on the property at Horse Water Well. A whistleblower’s report into the animal welfare concerns, and its shocking photos, was provided to WA Greens MP Robin Chapple in late 2014. Kariyarra elder Patricia Mason said she raised the concerns in 2012, and today said she was devastated by the most recent incident. These are difficult days for the hacienda . The heat wave was present in the Liniers Market, where more than 150 animals died the day before yesterday and joined other hundreds that were lost in feedlots and transport trucks. As a consequence of the high temperatures, with a thermal sensation higher than 45 ° C , the long trips from the hacienda from the fields to the city of Buenos Aires worsened the situation. Some arrived dead and others fallen or in such extreme conditions that they died within hours of getting off the transport. Also in the refrigerators, dozens of animals were lost. 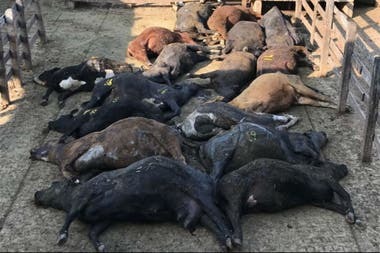 The high temperatures, humidity and the suspicion of toxins in the food as a predisposing factor caused the death of a thousand cattle in at least four Santa Fe feedlots at the beginning of this 2019. The cases, which started by dripping and accelerated with the passing of hours, were detected in the towns of Chañar Ladeado and Cafferata. The phenomenon, formally attributed to heat stress of animals, also puts on the table the system of “fattening to farmyard” that spread in the country as livestock counterpart of the advance of genetically modified crops and use of agrochemicals in agriculture. Professionals who work for the producers attributed the sudden death of a few thousand young bullocks between 250 and 300 kilos to the heat as the main cause. Biological and chemical analyzes added as a factor the presence of a fungus in fescue seeds, one of the pastures used in animal feed. Ramiro Aramburu, area veterinarian and director of consulting company that provides services to one of the feedlots affected, said the problem began on 1 or January. Forty-five people have died in the arid west African country of Niger in flooding since June, and nearly 209 000 have been affected, the UN said on Tuesday. The rains destroyed nearly 17 400 homes, killed more than 33 000 livestock and damaged crops, the Office for the Coordination of Humanitarian Affairs (OCHA) said. Nearly 8 000 hectares of millet, maize and bean fields were inundated, it said. The government had given a far lower figure, citing 469 people affected. The three-month rainy season is coming to an end but it has caused flooding in many areas, including in the desert north. Hundreds of cows and goats have been dying for the last six months in Subansiri Chapori of Lakhimpur district of diseases unknown to the local herders. The river islands of Subansiri has a large number cattle farms, locally known as khuti, where thousands of buffaloes, cows and goats are kept by herders for dairy and livestock business. But in the last six months, these animals are dying resulting in huge losses caused to the traditional cattle herders in this riverine area. The herders have informed that their animals are dying after grazing on the grass which remain submerged during the monsoon season following the receding of water level. “This phenomenon has been observed in the last three years and this time the number of casualties is much higher,” said the cattle herders. The worst hit river island this time is Subansiri Chapori where hundreds of cows and goats have died so far in the last few days. “Many goats have been found with infected faces which are very unusual,” said a local herder. The affected cattle herders of Subansiri Chapori have asked the authorities concerned to investigate the causes of this unknown disease and the quality of the river water for the security of their diary and livestock business. So far this year more than 400 head of cattle between goats and cattle have died due to lack of water resources, dehydration and other diseases, said the technical secretary of civil defense of the District Municipality of Casitas, Jaime Moraira Olaya, in the Tumbes region . Similarly, said that about 12 thousand heads of livestock and more than 2,000 families would be suffering hardship due to the lack of vital fluid in the area. “Many of the animals have died because they are consuming the plant commonly called drunkenness, the same that causes affection to their nervous system and causes death, continue to feed on this herb,” ​​he said. Anthrax was first found in cattle imported from Brazil before the Muslim holiday of Eid al-Adha, causing the death of 50 cattle on a farm in Ankara province. Hospitals in İstanbul and Sivas also detected anthrax in nine people who were sent for medical screening. In another case in Bitlis, more than 100 cattle died in one day from anthrax. According to reports in the Turkish media, the cattle import agreement with Brazil omitted a health inspection of the animals by Turkish officials.